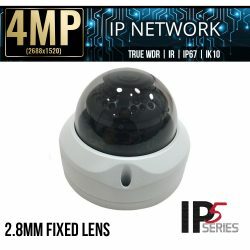 This 6MP SIP2 Series IP camera has built in LEDs for IR night vision that can capture video up to 164 feet in complete darkness. 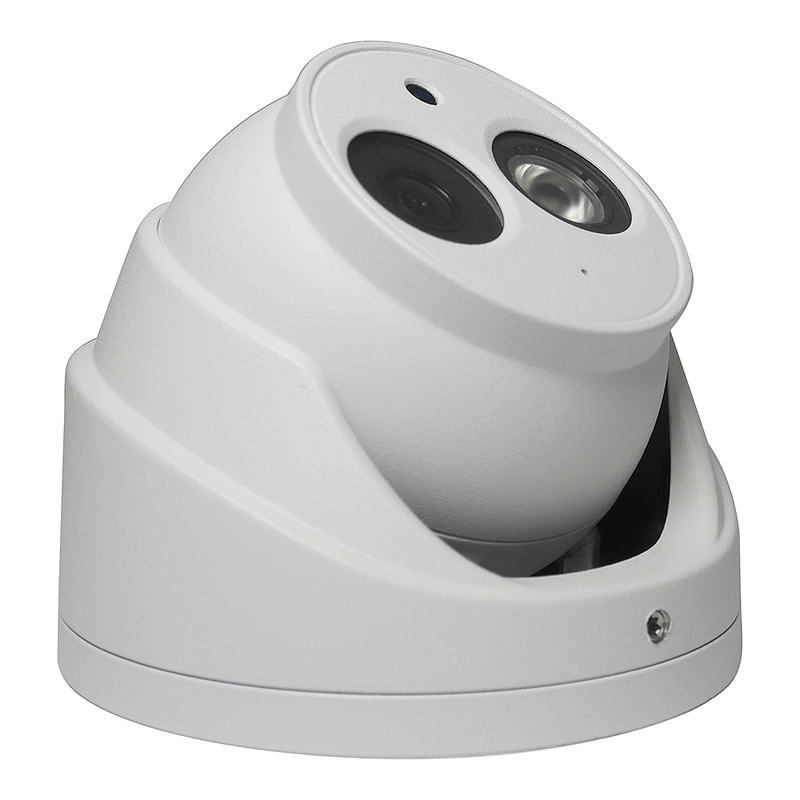 The New Starlight™ featureset also allows the ELI-SIP2-ED6S-28RA, to view color images in ambient lighting. 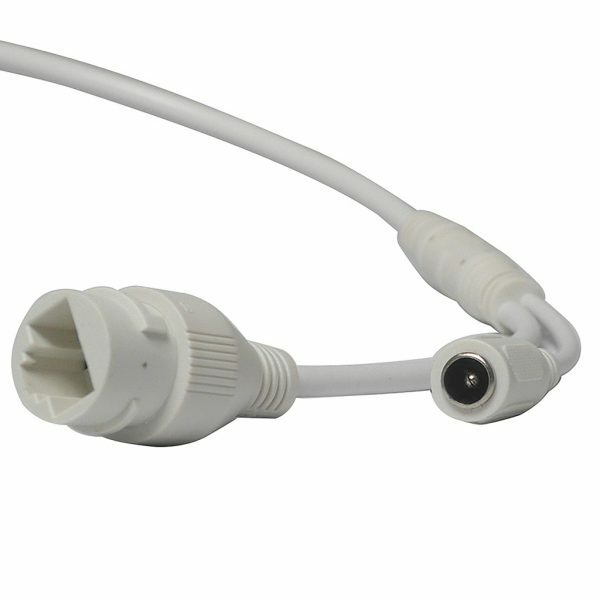 View 6 Mega-pixel video up to 20fps or 4 Mega-pixel video at view full 30fps. 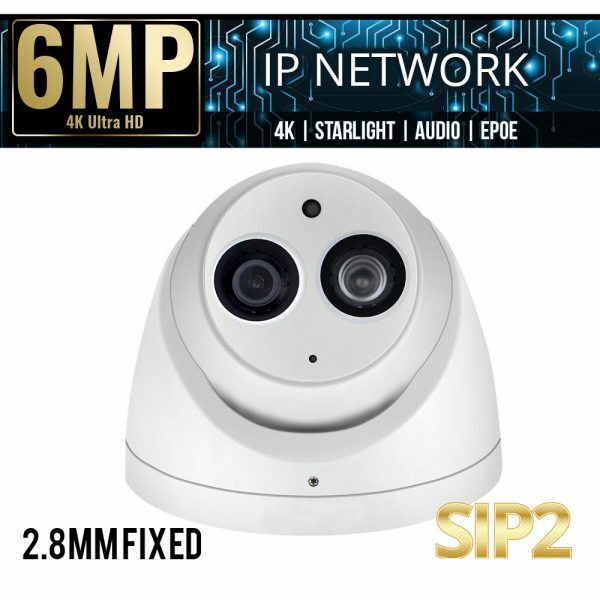 The ELI-SIP2-ED6S-28RA security camera has a wide angle 2.8mm fixed lens, and a built in microphone enabling you to capture video and sound. 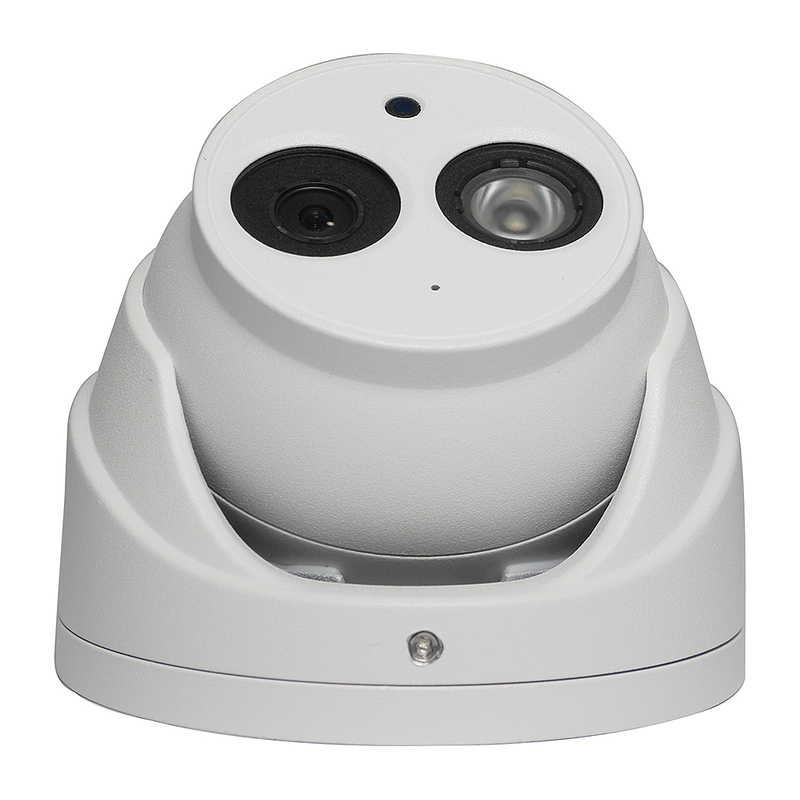 TIVS features Include: Tripwire, Intrusion, Missing & Abandoned Object Detection and also Face Detection. 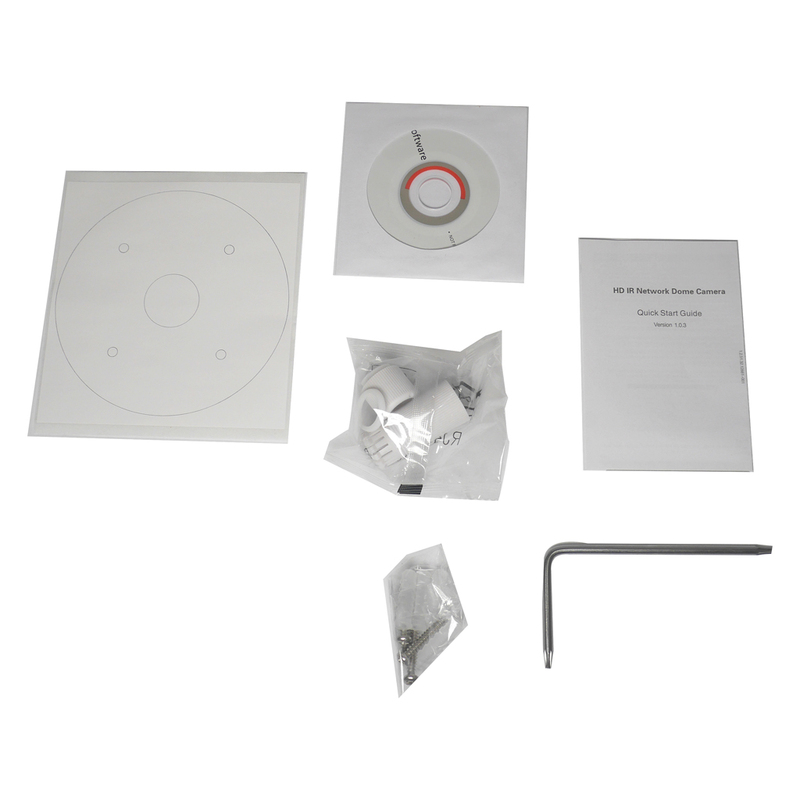 ePoE technology enables the low voltage integrator to achieve full duplex transmission over 2,600 feet at a speed of 10Mbps, which is sure to prove to be a very cost effective! 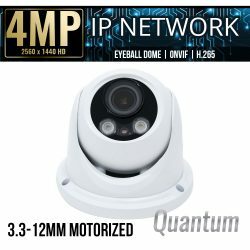 This 6 Mega-pixel Starlight Eyeball Dome Camera with ePOE, works in almost any environment. 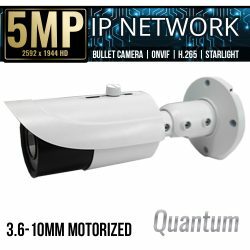 IP67 rated weatherproof, operating temperature between -22° F to 140° F and built-in IR. We back the ELI-SIP2-ED6S-28RA security camera with our eline Technology warranty and provide U.S. based technical support. 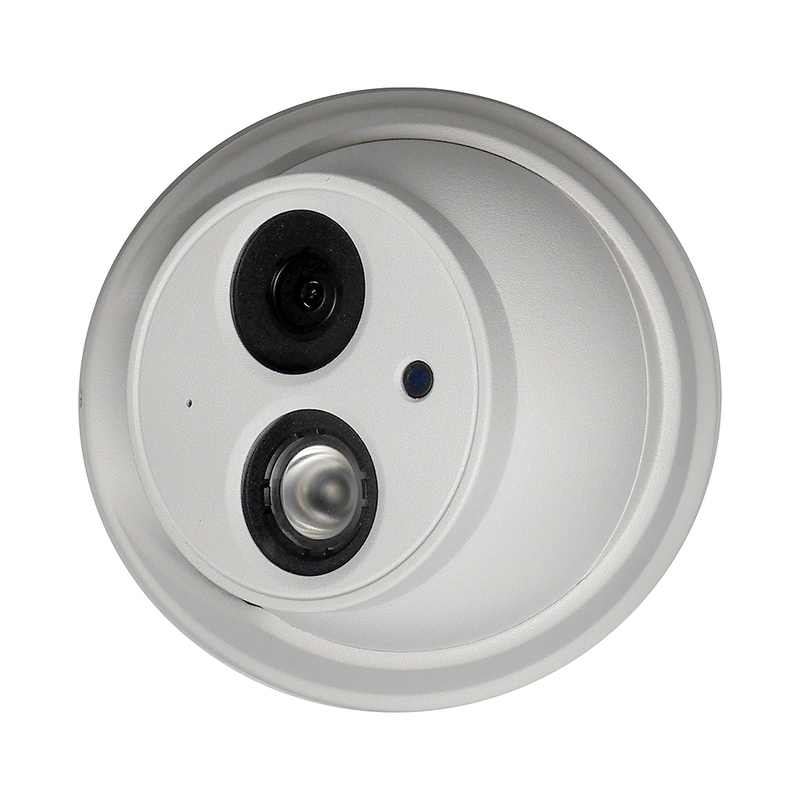 eLine Technology’s SIP2 Cameras use the Onvif standard to give end users the greatest flexibility and compatibility in surveillance system components and software. SKU: ELI-SIP2-ED6S-28RA. 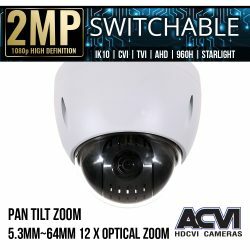 Categories: Browse by Series, SIP2 Series, Security Cameras, IP Network Security Cameras, Starlight IP Cameras, 6 Mega Pixel IP Network Security Cameras, 4K Security Cameras Ultra HD, Dome IP Cameras, Fixed Lens IP Cameras, SIP2 Series IP Cameras.